Moto E5 Image Leaked - Reveals Specifications, Launch Date & More! The Moto E5 will have the fingerprint scanner on the back, which is a first for Moto's E Series smartphones. Motorola has had a successful run in India with their E-series smartphones. The last model, Moto E4 was launched back in June 2017. 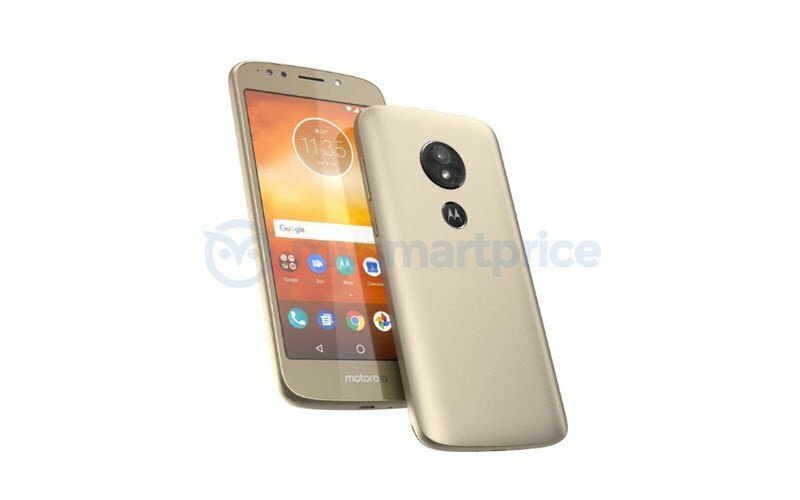 There’s still a few months left before the successor, the Moto E5, is launched, but the first images of the upcoming handset have been leaked online. The leaked image shows a rear-mounted fingerprint scanner, which is a change from the last model where it was placed at the front, below the display. Even though there’s no word on the specifications yet and the fingerprint scanner has been moved to the back, the images hint at a regular 16:9 display. The first leaked image of the upcoming Moto E5 shows that the Lenovo backed company will get rid of the home button which housed the embedded fingerprint sensor. It has now been moved to the back. The screen on the Moto E5 could measure 5 inches diagonally, but it doesn’t seem like an 18:9 display. The Moto E5 will come with on-screen buttons to handle the user interface navigation. The device also sports an LED flash up front, that will aid the front-facing shooter, similar to its predecessor E4. The power button and the volume rocker will stay on the right side of the device. There’s a slight camera hump on the back side, and it will house a single camera coupled with an LED flash. The Moto E4 had a MediaTek chipset in the Moto E4 for South East Asia. The company could probably continue to use a MediaTek chipset inside the Moto E5 as well. The fingerprint sensor has been moved to the rear of the device, and will now reside within the signature Motorola logo. Motorola will not move to a USB Type-C port on the E series smartphones this year. The Moto E5 is expected to have a micro USB port like its predecessors. The phone will come with dual-SIM support along with the other standard connectivity features like GPS, Wi-Fi, Bluetooth and a 3.5mm headphone jack. The leaked image of the Moto E5 has a clock widget on the screen which mentions the date April 3. So we can expect the company to officially unveil the Moto E5 phone on 3rd of April this year. Motorola is known to follow a yearly smartphone upgrade cycle for their series smartphones. If the Moto E5 is launched in April, then it would be arriving earlier than expected, as the Moto E4 which was launched in June of 2017. The Moto E5 is expected to be priced somewhere between $120 to $150 (between Rs. 7,500/- and Rs. 9,500/-)The company is expected to be releasing the Moto E5 Play and the Moto E5 Plus alongside the Moto E5 this year. If the Moto E5 is officially announced in April, then it will be available globally by May 2018. "Moto E5 Image Leaked - Reveals Details, Specifications, Launch Date & More! ", 5 out of 5 based on 3 ratings.